What better way to indulge your Parisian food lust fantasies (short of eating there) than reading about it every day? I know, sad substitute, but at least it’s something. 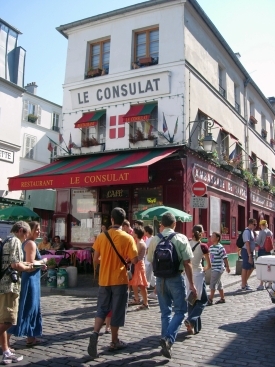 Budget Travel’s running down their 10 favorite Paris food blogs, including Clotilde Dusoulier’s “Chocolate & Zucchini,” Francois Simon’s “Simon Says” (rumored to be the inspiration for the grumpy food critic in “Ratatouille”), and John Talbott’s “John Talbott’s Paris” (umm, the title could use sprucing up a bit in my opinion).